A rear extension and a new kitchen were required. This view is looking through the original kitchen door into the kitchen and the extension beyond. 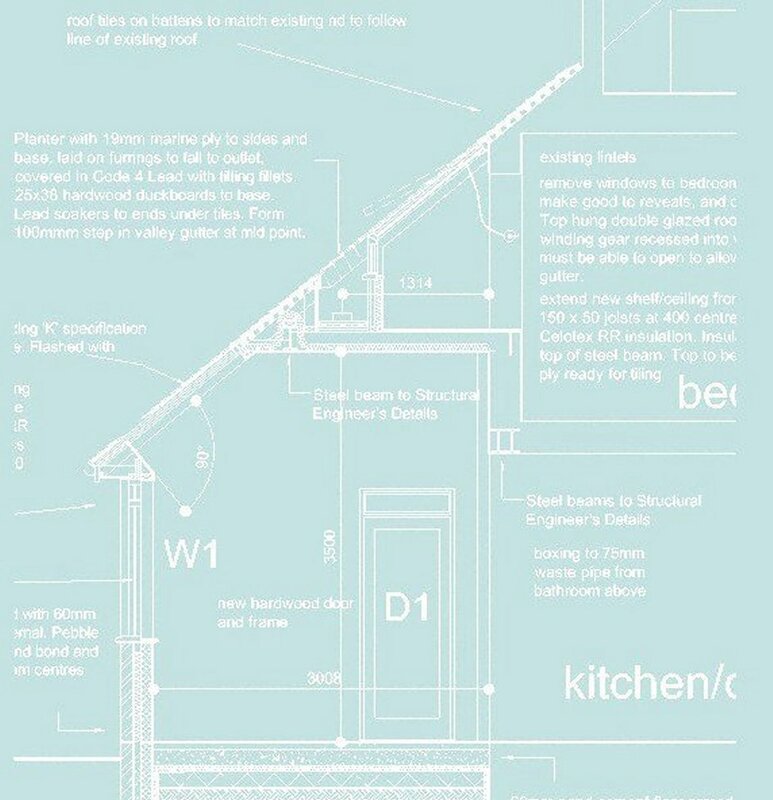 The background image to some of these web pages shows the section drawing of the roof construction. 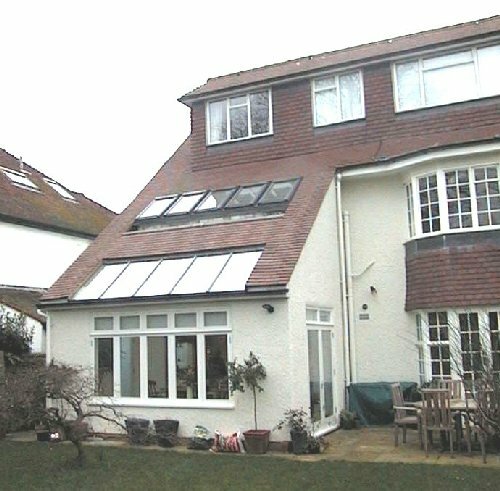 The existing house had a mixture of window types, and the client wanted larger "traditional" type windows in the extension. We added a part glazed roof over the dining area. 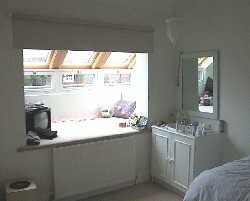 The Client was apprehensive, but stuck with the idea! The recess into the new roof from the bathroom. Note the vertical drop down windows. 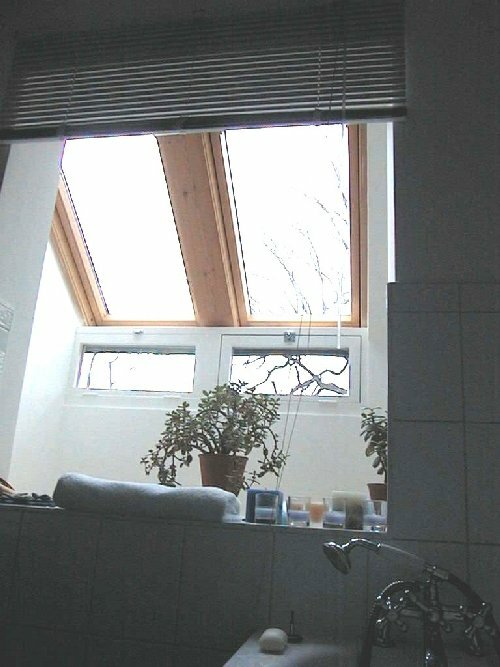 If you look at the external picture above you will see a recess just below the Velux windows. 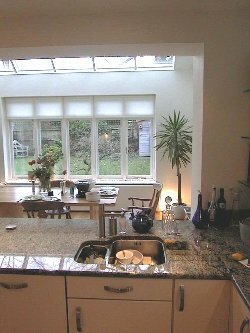 View from kitchen towards the extension and the garden. Note the double stainless steel sink under the granite top. 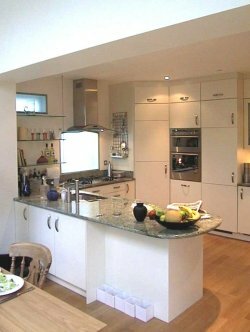 A basic kitchen system was chosen in plain colour. The existing window behind the hob was glazed in sand blasted glass with lighting behind. 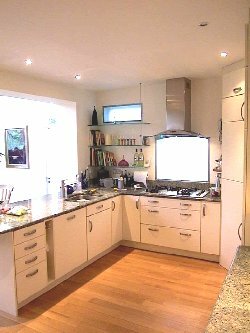 The worktops are Verde Rose granite. To the right of the hob is a large larder utilising the whole of the corner space. 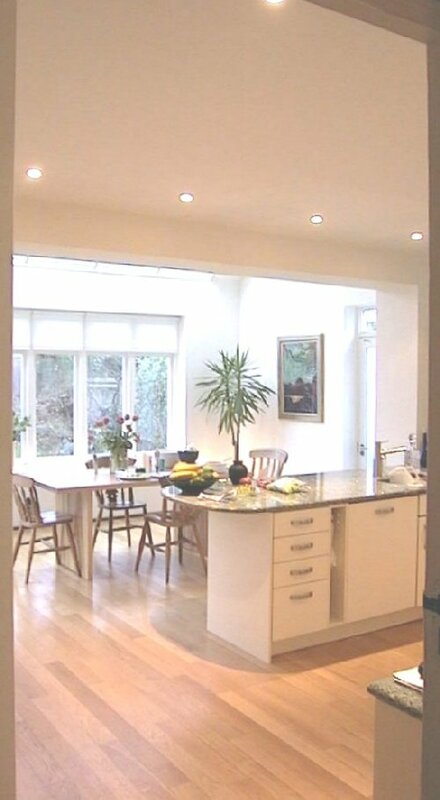 Another view showing the beautiful granite which contains pink and green, and the solid oak floor. Glass shelves in the corner, with another exisitng window with sand blasted glass.